Scroll down for the #TwitterSmarter conversation report for August 23rd, 2018 EST. When it comes to participants, we ranked 2nd among 530 conversations. In terms of the number of posts, we ranked 2nd out of 530 conversations that took place. There were 154 reshares, 24% of posts, during the course of the conversation. 46% of participants in this conversation engaged each other 292 times. 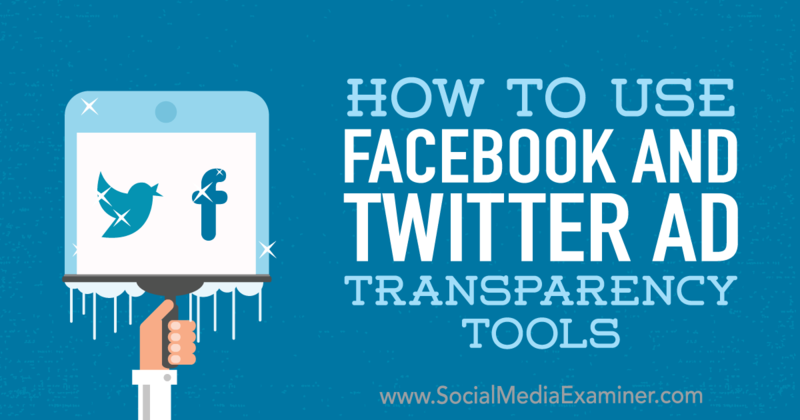 Discover four ways social media marketers can use Facebook and Twitter ad transparency tools. If your engagement rates are down, your follower gains are slowing down, or there seems to be general disinterest in your brand, it’s time to rethink your direction. Realizing your engagement is down is the easy part, but understanding why can be a bit tricky.